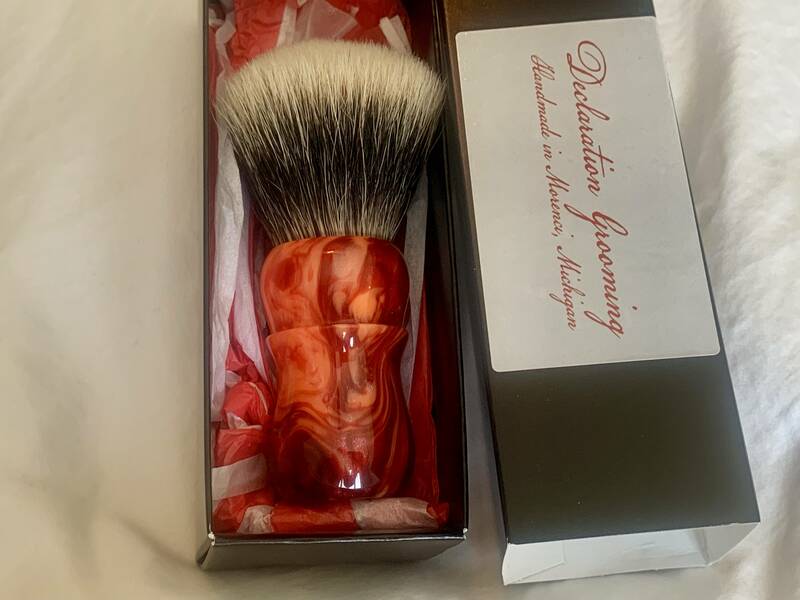 I’ve got two Declaration Grooming B7 ‘Peach’ Jefferson’s, so I would like to Trade one for a different color DG Jefferson Brush. 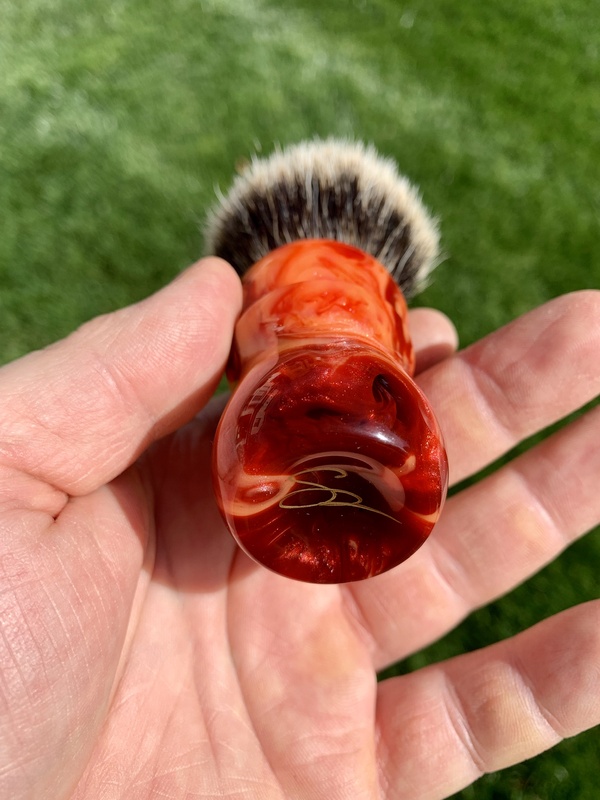 This Brush is stunning in person, and my pics don’t do it Justice. Please let me know if you would like more pics or if you have any questions. 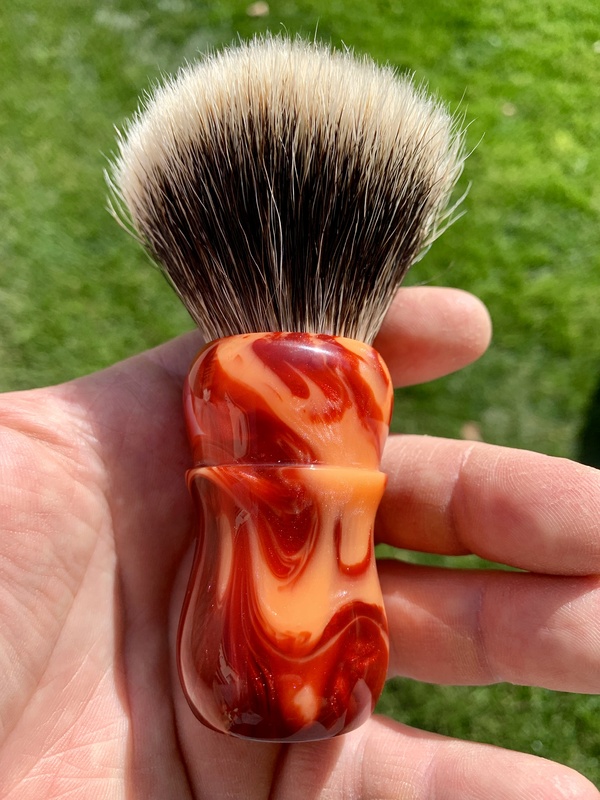 If I don’t get any Trade offers I will put the Brush up For Sale. 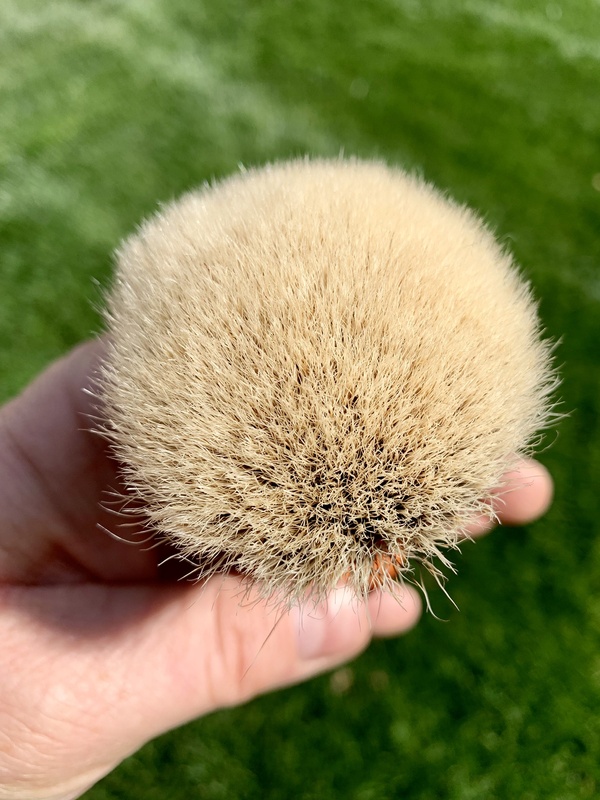 (04-08-2019, 05:53 PM)LOOT Wrote: Knot size? This is a 28mm B7 Knot. 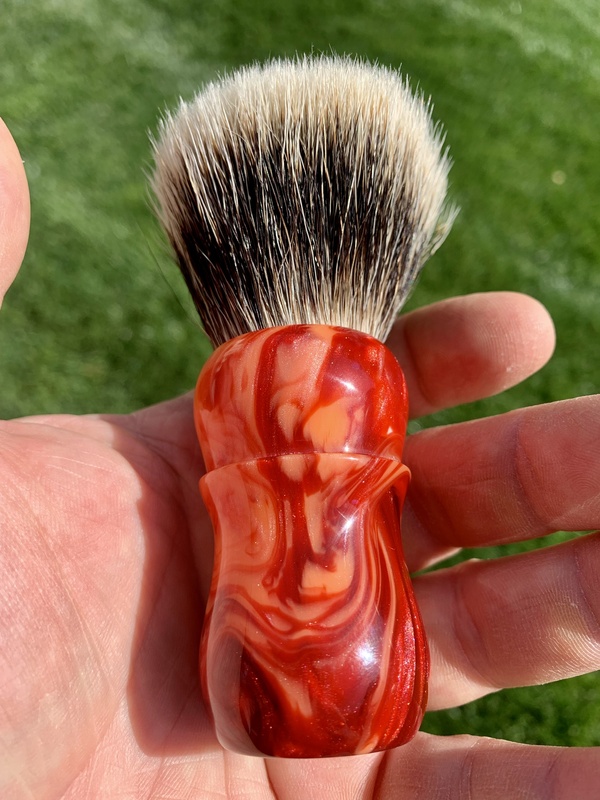 My other Peach’s B7 Knot has soft tips with good backbone. The tips are more natural, and are not gel tips. In use I didn’t notice any scritch. I’m really enjoying this hair batch, hope this helps! 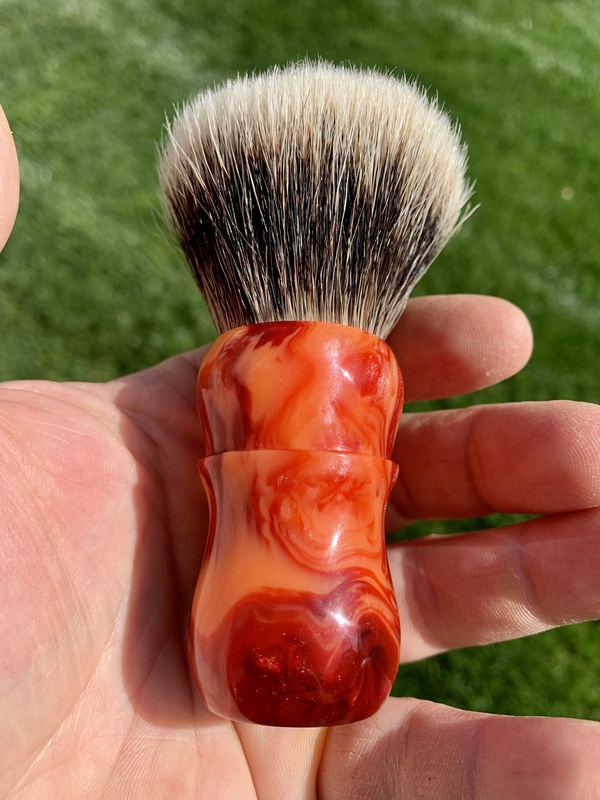 Brush has been Traded! Thank You DFS and Member!